Tip: If you're looking for information on how to remove other things, such as section breaks or blank pages, see the related links at the bottom of the page. Click Home > Show/Hide . 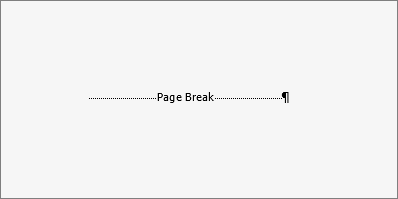 Double-click the page break so that it's selected, and then press Delete. On the Layout or Page Layout tab, click the dialog box launcher in the Paragraph group.